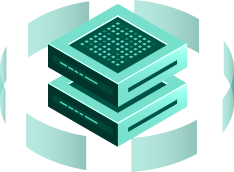 Powered by enterprise grade hardware, our KVM VPS plans include your choice of LAMP, Mumble, MySQL, NextCloud, WordPress, CentOS, Debian, and Ubantu. KVM VPS gives you all the resources you demand without sharing them with anyone else, guaranteeing you maximum performance. before you can finish your coffee. Have another question? Check out the rest of the FAQ or contact us. A KVM VPS is a virtual private server which sits on top of a physical dedicated server. Resources are dedicated to the KVM VPS and are not shared with other users on the physical device, offering tremendous reliablity and performance for the money. What should I use a KVM VPS for? Database servers, web hosting, cPanel resellers, and all other types of hosting you can think of. A KVM VPS is like a dedicated server within a physical dedicated server. OpenVZ shares resources with every other client on the host node and is considered container based virtualization. You should choose what is right for you based upon your needs. If you need help deciding, ask someone from our sales team and we’d be glad to point you in the right direction.